Have you seen this impressive video that shows what happens when you drop a steel ball onto a piece of Gorilla Glass 2 (used in the display of many smart phones, including the iPhone) with and without the protection of a clear polymer material called Rhino Shield? Eric Wang of Evolutive Labs wrote to tell me that he is a fan of MAKE, and that he learned how to use the Arduino from reading MAKE. 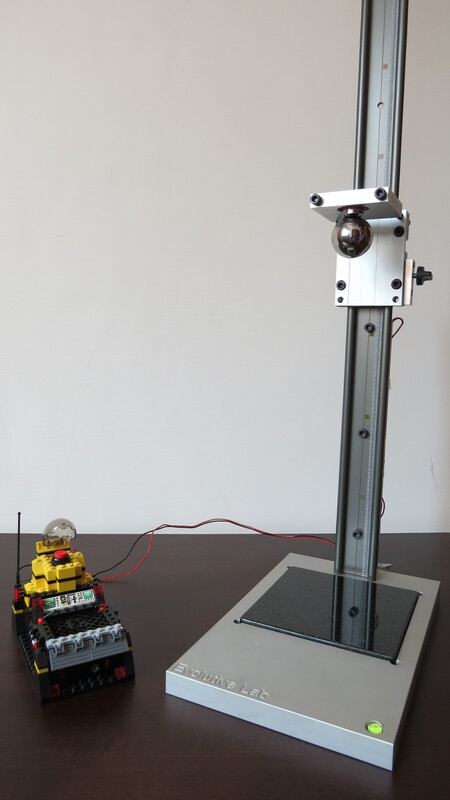 (The force sensor on the drop tester is Arduino-based. ) In fact, he says, MAKE was an inspiration for the creation of the drop tester itself, which is called Brutus. I like the Lego control box with the red button that sits under a clear safety bubble (click the image for a closer look).